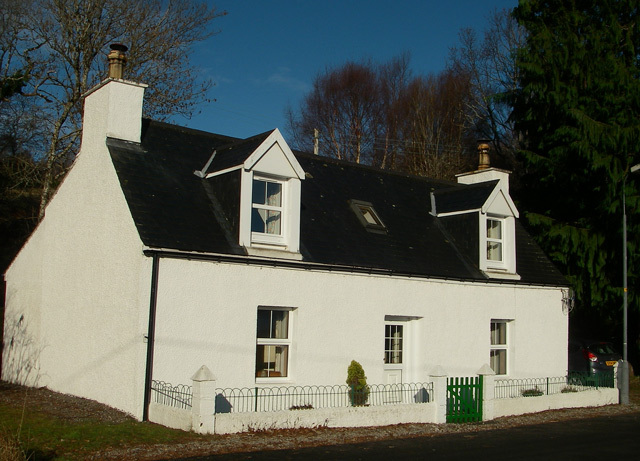 Shellach Cottage is a charming property, situated in a quiet position in the pretty village of Lochcarron. 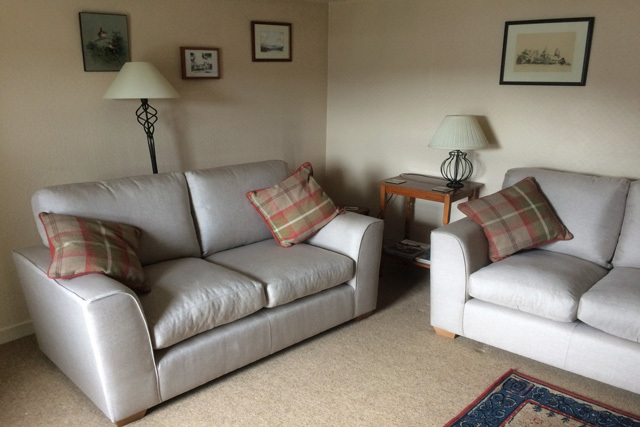 Traditionally furnished throughout, the property offers a perfect base for exploring the west coast and the Isle of Skye, or simply relaxing and enjoying the facilities of the village which are just a short distance away. 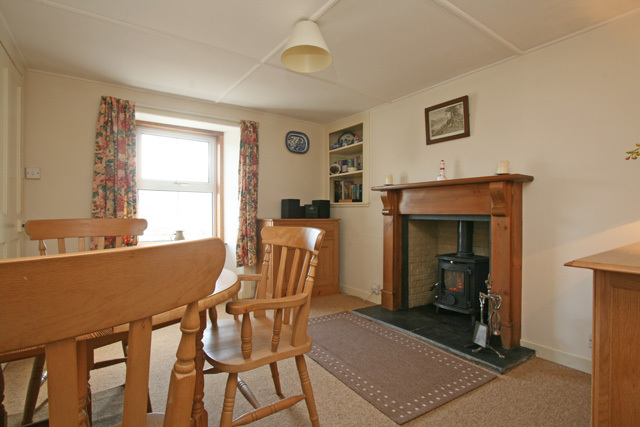 The property has a traditional cottage layout inside with the sitting room, dining room, kitchen and bathroom on the ground floor, and the two bedrooms, a double and a twin on the upper. 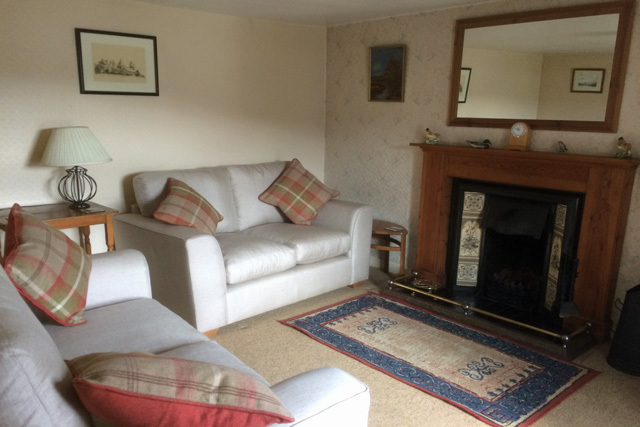 The sitting room has comfortable seating and an open fire for those colder nights. The kitchen is equipped with all the usual appliances and the dining room has a dining table, wood burner and seating for four. 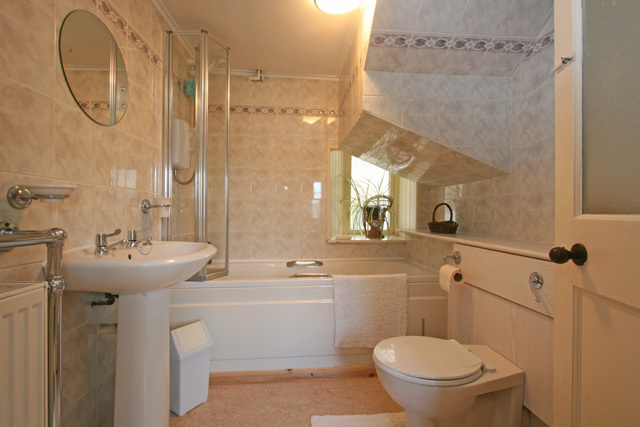 The bathroom has a bath with shower over and this completes the accommodation on this level. 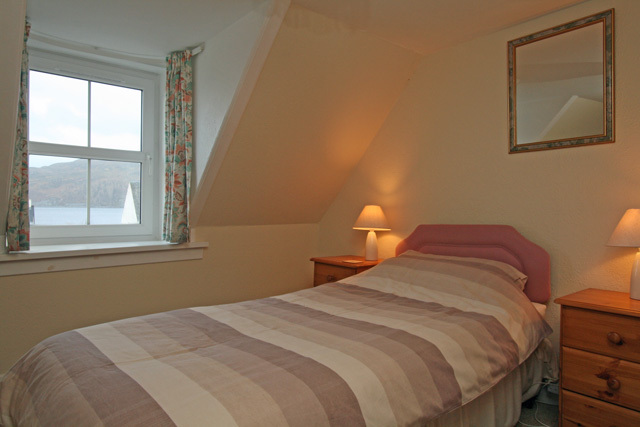 On the upper level both bedrooms have traditional coombed ceilings and enjoy views to the sea. To the rear of the property the garden has furniture and is an ideal place to sit and relax after a day exploring. Lochcarron itself has everything that the visitor needs for their stay. 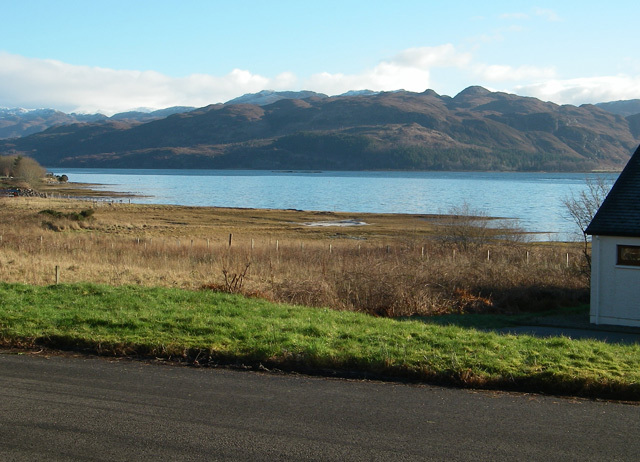 A well stocked supermarket, a butchers shop, a petrol station and a few restaurants including the Lochcarron Hotel. Further afield at Attadale you will find the Carron Pottery and the Attadale Gardens, and for the more adventurous a drive over the Bealach na Ba to the village of Applecross is well worth the trip. The pass offers some of the best scenery in the area and the renowned Applecross Inn always serves the best of the days catch. Applecross is without doubt one of the most remote and beautiful wilderness areas on the west coast of Scotland. The Gaelic name for Applecross is “a Chomraich” which means “The Sanctuary”. You will realise after arriving why it was given this name. 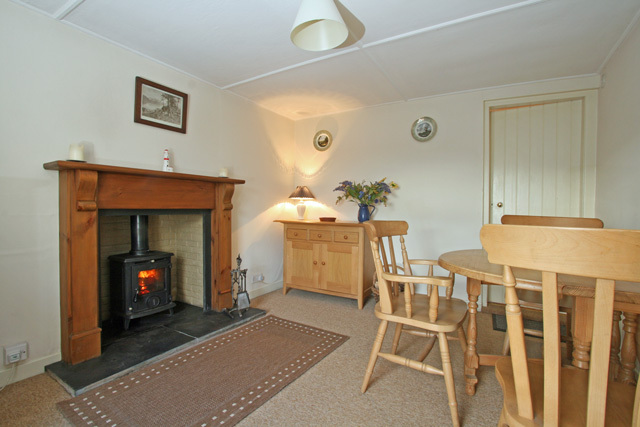 Sitting room with open fire, comfortable sofas & chairs, Freeview TV, DVD, CD, video, radio, iPod dock. Dining room, wood burner, dining table with seating for four. Kitchen, electric cooker, microwave, fridge with small freezer compartment, washing machine, tumble dryer, and all the usual kitchen equipment, dining table with seating for four. Oil central heating to ground floor. 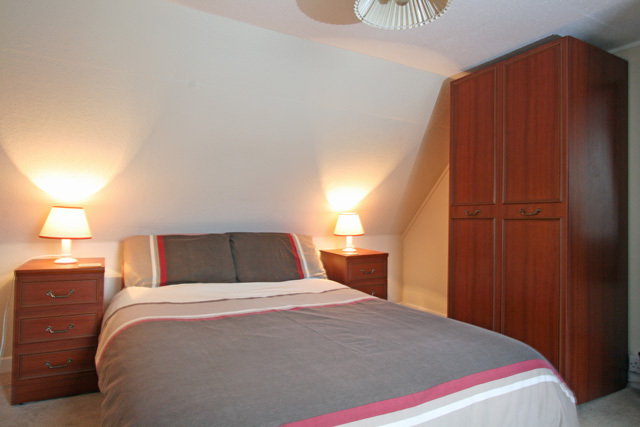 A maximum of two pets are welcome at the property, there is a £15.00 pet fee per week. Traditional property with sea views. Village facilties located just a short distance away. We had a very enjoyable one week stay at Shellach Cottage in May. Great location for touring and exploring the surrounding west coast scenery. Lovely views across Loch Carron from the cottage. Adequate sized, cosy rooms and well equipped kitchen. Owner was responsive in getting minor maintenance problem attended to quickly.